Stereotypes about the "threat from the east" should have been buried along with the Cold War. Regrettably, they are seeping back into Western discourse. Such crude pigeonholing coarsens debate as a new British poster campaign proves. 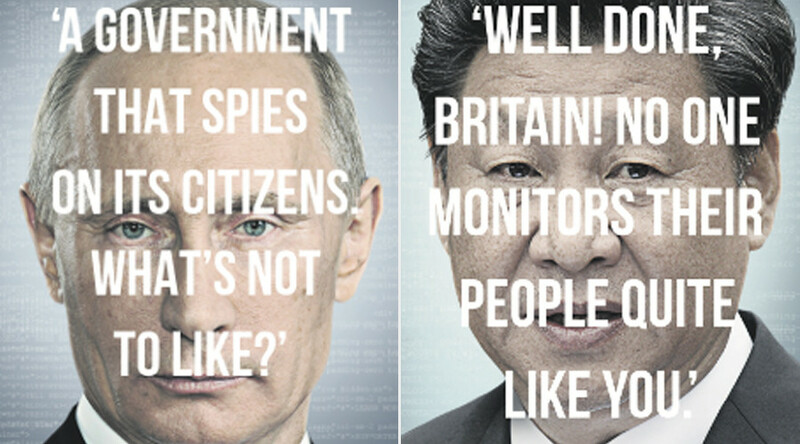 Vladimir Putin and Xi Jinping are the poster boys for a new British anti-surveillance advertising campaign. Meanwhile, Barack Obama and Angela Merkel are absent – never mind the ample proof showing that the NSA and BND routinely spy on ordinary citizens. The BND is so generous with Germans’ most private information it routinely passes it on to NSA colleagues. On the other hand, there is no proof the Russian and Chinese services have developed, or are deploying, data gathering schemes similar to their Western counterparts. 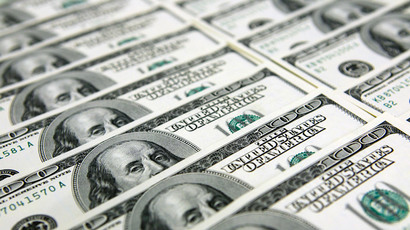 The fact American companies dominate the tech world also makes things much easier for the NSA and its foreign allies. Thus, John and Jill Smith of Manchester would seem to have a lot more to fear from their own government, and their 'friends' in America, than from Beijing or Moscow in terms of boundless surveillance. The ‘Don’t Spy On Us Campaign,’ a coalition of several pro-privacy organizations, is trying to warn Britons about the dangers in the UK governments’ Surveillance Bill, which is currently going through parliament. If passed, it would give “government, intelligence agencies and police the kind of powers you would expect in an authoritarian regime,” the campaign says on its website. With this in mind, the group has plastered London with posters and billboards showing Putin and Xi Jinping, together with the caption: “A government that spies on its citizens. What’s not to like?” The campaigners have also taken out prominent adverts in popular newspapers like The Daily Telegraph and The Guardian. 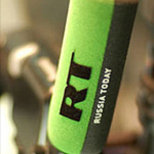 Interestingly, when RT attempted to launch its “Second Opinion” ad campaign in London in 2014, depicting former world leaders like George Bush and Tony Blair, the ads were rejected by several UK platforms as being too political. They had to appear in redacted form for most outdoor formats, save for wild postings. Isn't it remarkable that public locations in Britain would refuse images of retired Western politicians and direct quotes of their proclamations, but allow eastern leaders to be portrayed with imagined statements, never actually spoken? ‘Don’t Spy on Us’ labels Putin a “tyrant”, which would make any rational analyst wonder which noun they’d use for Bush and Blair, who together launched an illegal war that led to the deaths of hundreds of thousands in Iraq. Or a President that conducts a large-scale, cross-border drone campaign that regularly kills civilians, such as Obama. As Edward Snowden revealed, the US has conducted a mass surveillance program for years. Last year, he told the British comedian John Oliver that the NSA routinely accesses people’s most private photo collections. To date, there is no record of any Russian institution conducting similar snooping operations, either on home turf or abroad. Given the information on hand about NSA and BND operations, you’d expect ‘Don’t Spy On Us’ to use Obama or Merkel as their chief symbols to make their point. Perhaps they could even embellish the posters with a quote or two from Snowden. It’s hard to see any difference between this organization’s advertisements and a Punch magazine cartoon from the 19th century. In 2016, it’s sad than an agency apparently devoted to transparency is resorting to outmoded stereotypes.